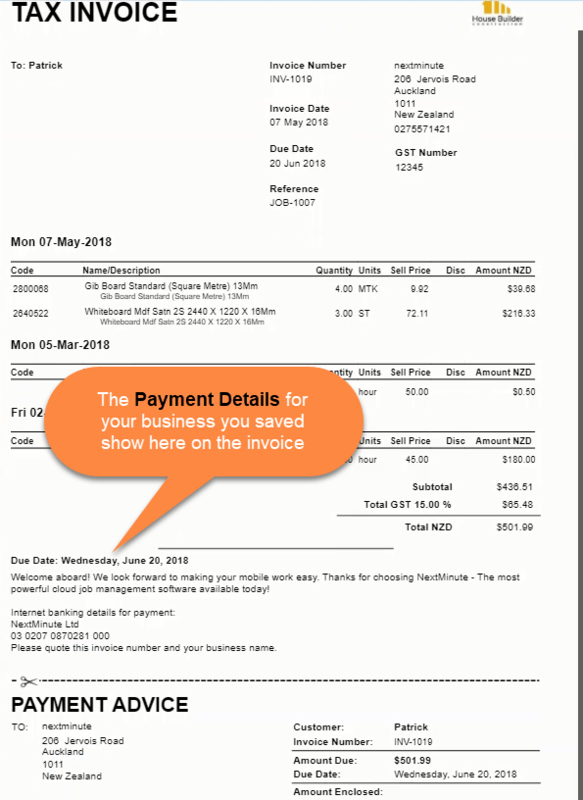 Setup Payment Details to appear on invoices – Welcome to the NextMinute support and feedback centre. Your payment method, bank account detail, terms of business and any other messaging you would like to include on your invoices can quickly be set up via the Admin / Setup Checklist area. Payment Details are located at the bottom of the subscription detail section. There is a free text field for you to enter your required business information.